If you wish to enable remote on-account sales for your multigym setup, it’s important to understand how it works. When a sale happens at Gym A but is billed to Gym B some internal steps need to be performed to make the books balance. The inventory will need to be properly tracked in Gym A and the money properly tracked at Gym B, where the members payment information is stored. The sale is recorded at Gym A with regard to inventory, revenue accounts, products, etc. A “Remote Settlement” line item is secretly added to the invoice at Gym A to satisfy the requirement that the transaction be balanced by something since no money is coming in. If you have seen the transfer of gift cards on a z-out, it is similar. 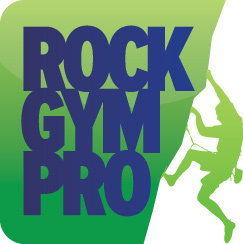 At Gym B, the customer will have the dollar amount for the transaction added to their account but Rock Gym Pro will use the same “Remote Settlement” product. Thus, when your accountant looks at the books, there will be additional line items for “Remote Settlements [Gym A]” and “Remote Settlements [Gym B]” with funds going in and out.